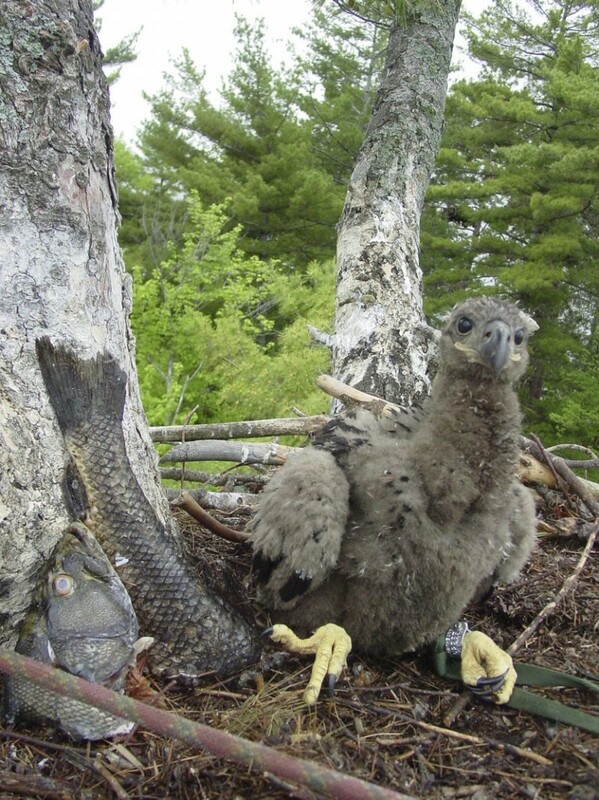 Researchers based in Gorham are studying bald eagles, loons and other species for threats to people. Based on the premise that what happens to the health of bald eagles and loons might someday be what’s in store for us, a small group of wildlife biologists based in Gorham is researching such species to find out how they are dealing with changes to ecosystems. Biologists from the Biodiversity Research Institute are following the lives of loons, eagles, peregrine falcons and other species across the nation and in some cases across continents. These birds and other “indicator species,” they say, offer cautionary signals about the health of the environment, threats to wildlife and risks to people. The species’ interaction with human functions can affect policies on development and other activities. Species such as loons, for example, have been substantially affected by mercury and other toxins from power plants and other industrial emissions. The migration patterns of peregrine falcons could affect where offshore turbines or wind farms might be built. 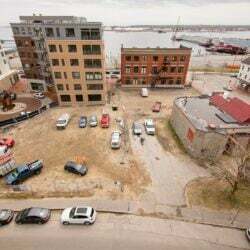 The institute will offer the public a glimpse of its work Thursday at an event at DiMillo’s on the Water Restaurant in Portland. Researchers from the institute have chosen several key “sentinels of pollution,” including loons, eagles, peregrine falcons, salt marsh sparrows, northern water thrushes, bats, walleye pike and largemouth bass, to help analyze the overall health of various ecosystems and how the species’ life cycles fit into a larger environmental picture. “The best indicators are the fish-eating birds,” said Chris DeSorbo, director of the institute’s raptor program. Some of these birds and animals share an important characteristic with humans — a position at the top of a food chain. Their place in the scheme of things makes them particularly interesting to scientists, because it offers insight into how various toxins pose health threats to people. The institute’s mission is to monitor and enhance biodiversity, both in the United States and globally, and researchers from the organization regularly collaborate with other states’ researchers and scientists in other countries. 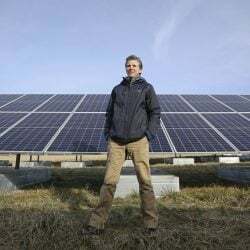 But “the core of what we do is focused in Maine,” DeSorbo said. Through various studies and at numerous sites, wildlife research biologists like DeSorbo are working to “fill data gaps that need to be addressed” so that policymakers and legislators can have as full a picture as possible of changing environmental conditions. Much of the work focuses on “contaminant levels in wildlife (and) contaminant exposure in the environment,” said DeSorbo. His own ongoing research has yielded information from the banding of 700 eagles, as well as taking blood samples from nestlings, to establish mercury levels in bald eagles. One surprising finding, he said, is that mercury levels in eagles nesting on inland lakes run higher than what is generally recorded in the scientific literature. Mercury is released during various industrial processes, including the burning of coal and waste, as well as metal production, said Nina Schoch, a wildlife veterinarian and coordinator of the institute’s Adirondack Center for Loon Conservation. It settles in water, is picked up by fish, and passed up the food chain to birds, such as loons and ospreys. Humans absorb mercury through eating fish and shellfish. The institute’s wildlife scientists working in Maine and upstate New York have learned that loons are “particularly susceptible to environmental contaminants” such as mercury, Schoch said. Mercury, in particular, affects reproduction in loons, Schoch said. 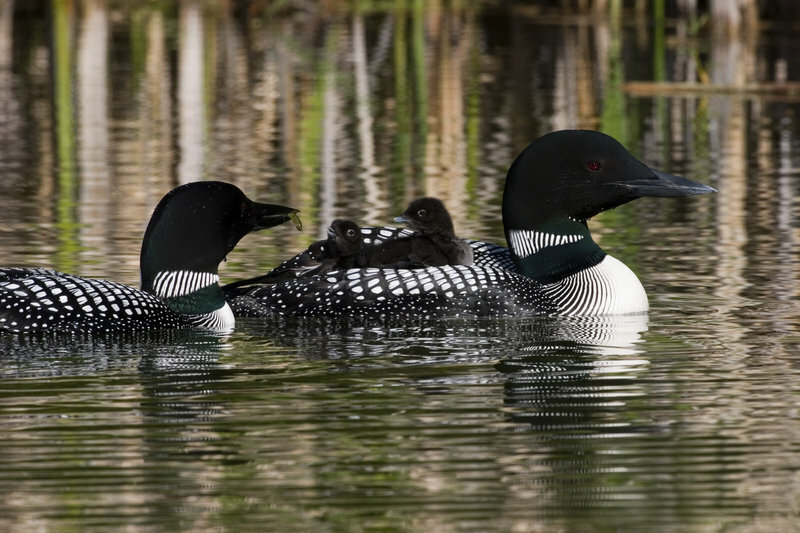 In acidic Adirondack lakes, loons with more than 3 parts per million of mercury produce fewer eggs, are lethargic and lack the energy to successfully incubate eggs in a nest. The loons “are doing really well this year,” he said. And there hasn’t been any significant increase in mercury in the study areas for the past few years. High levels of mercury, a powerful neurotoxin, have been linked to increased rates of heart attack and cardiovascular disease in men and can even affect unborn children, Schoch has reported. Exposure to fetuses in the womb can lead to irreversible brain damage in extreme cases, Schoch outlines in “Adirondack Loons — Sentinels of Mercury Pollution in New York’s Aquatic Ecosystems.” Continuing exposure can damage attention, language and memory in children. Most of the challenges loons face are caused in one way or another by people, and many of the problems are longstanding and enduring. Even so, Schoch said she remains “guarded and hopeful” about the birds’ future. “I’m optimistic in the sense that with loons … there’s a lot more (public) awareness about mercury in the environment,” Schoch said. Certain federal actions, such as passage of the 1990 revisions to the 1955 Clean Air Act and the 2011 Safe Chemicals Act, expand the Environmental Protection Agency’s role and responsibility for clean air and control of toxic chemicals. Such legislation helps ease some environmental concerns, researchers say. Last December, the EPA also finalized the Mercury and Air Toxics Standards rule, which regulates mercury emissions from coal-fired power plants.